2019 Dodge Durango features and specifications | Orchard Chrysler Dodge Jeep Ram " "
Finding a stylish SUV with major muscle in the Metro Detroit area can be a challenge. As a top Dodge dealer in Washington MI, Orchard Chrysler Dodge Jeep Ram believes it has found such an SUV in the 2019 Dodge Durango. Available in seven trim levels, eleven exterior colors, and both RWD and AWD, the 2019 Dodge Durango is a dynamic mid-size SUV that we believe deserves a closer look. If there is one thing the 2019 Dodge Durango delivers, it’s performance. On many trims, drivers will enjoy a 3.6-liter V6 24-valve VVT engine with ESS that delivers 293 horsepower at 6,400 rpm and 260 lb.-ft. of torque at 4,000 rpm. The second engine is the 5.7-liter V8 HEMI MDS VVT that kicks out an impressive 360 horsepower at 5,150 rpm and 390 lb.-ft. of torque at 4,250 rpm. 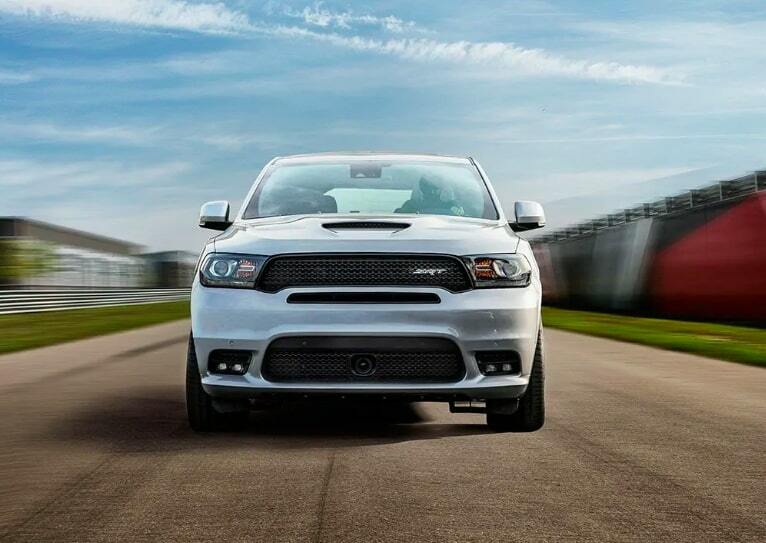 Last, but certainly not least, there is the raw power of the 6.4-liter V8 SRT HEMI MDS engine. This monster of an engine delivers 475 horsepower at 6,000 rpm and 470 lb.-ft. of torque at 4,300 rpm and gives drivers a best-in-class towing up to 8,700 pounds, when properly equipped. * To give you a great ride, the 2019 Dodge Durango can be equipped with an eight-speed automatic 850RE transmission, rear load leveling suspension, sports suspension, conventional differential front axle, and performance steering. One of the most interesting protection features is the available Full-Speed Forward Collision Warning with Active Braking. This system uses camera and radar technology to determine if a frontal impact is pending and administers several warnings to the driver before applying the brakes. While you’ll love the power of the 2019 Dodge Durango, it’s the luxury and hi-tech features that will seal the deal. Everyone will ride in style thanks to the available heated front and second-row seats, leather-trimmed bucket seats, power eight-way driver seat with memory, second-row fold and tumble captain chairs, and tungsten interior accent stitching. If you need to stay connected and entertained no matter where you are, the 2019 Dodge Durango delivers on both accounts. The Dodge Durango can be purchased with 19 Harman Kardon amplified speakers, 4G LTE Wi-Fi hot spot, Uconnect 4C NAV 8.4-inch touchscreen, Apple CarPlay® and Android Auto™ capability, and five years of SiriusXM Traffic Service. 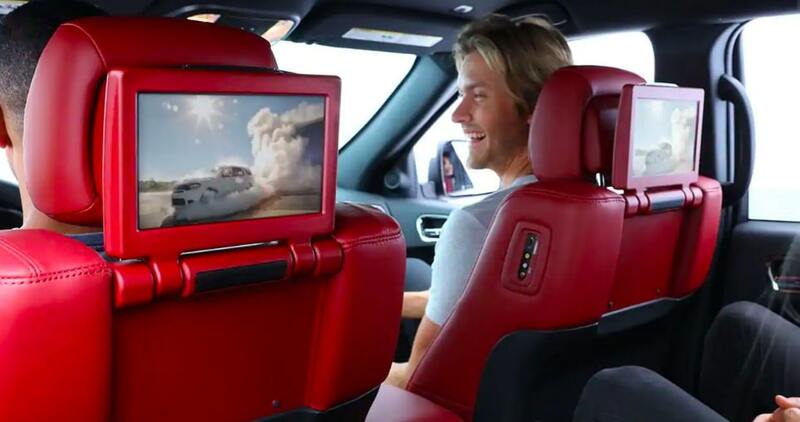 To keep even the pickiest passengers from getting restless, there is also an available Rear DVD Entertainment Center that is Blu-Ray compatible and comes in single and dual-screen versions. If the powerful 2019 Dodge Durango sounds like your dream SUV, then you need to get behind the wheel of one ASAP. At Orchard Chrysler Dodge Jeep Ram, we make scheduling a test-drive easy, just contact us or drop by our showroom in Washington, MI and we can make it happen. *When properly equipped. See dealer for details.